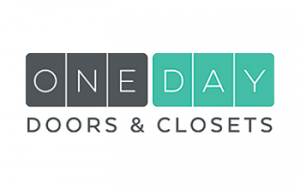 One Day is truly unique by replacing interior doors and organizers better, faster and cheaper than competitors. Can other businesses you're looking at claim that? Watch our video to see how One Day's revolutionary 3D scanning technology transform homes by replacing every door in less than 4 hours, compared to 1-2 weeks of messy construction with contractors and home improvement stores. Plus, One Day typically costs 30-50% less! Sell: Using our proprietary sales and marketing plan, the dealer sells a homeowner a house package of doors and organizers. Measure: The measure-tech quickly measures each door using our 3D measuring device. The measurement files are then uploaded to our factory's robotic automation where each door is custom made to fit, painted, then shipped to the dealer. Install: The dealer quickly installs each door by just screwing them in, which doesn't require traditional installation by highly skilled and paid carpenters. You get in, get out, and get paid. One Day is not a franchise so there are NO Franchise & Territory Fees or Royalties so all of your capital goes straight toward launching YOUR business. And you'll have more flexibility to run your business compared to those restricted by lengthy FDD's. This means you get the benefits of a franchise without being in a franchise! We're looking for individuals w/ sales background and able to invest ($80k min.) to grow their business. No construction background is necessary. Contact us to learn more about our technology, training, and support and you could be on the ground-floor of the next multi-billion-dollar industry! We never sell your information or share it with anyone other than the companies from which you have requested information. Hello. Please send me more information about this franchise.